I’ve experimented with cooking Brussels sprouts at different temperatures, and found that 400 was just right for getting the crispy, slightly charred outside with tender and not overly cooked inner leaves. You may decide that you prefer them to be more cooked on the inside, in which case 425 for about 20 minutes might work better. Add the olive oil to a baking sheet with the Herbamare or sea salt. 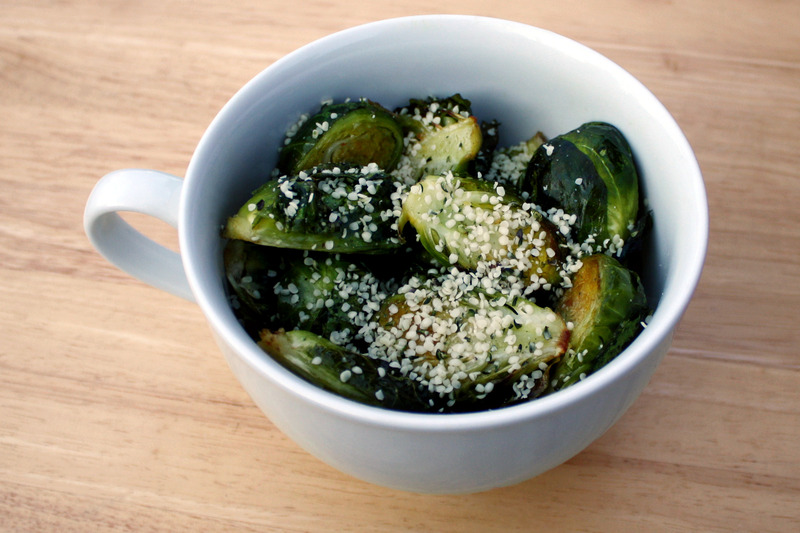 Add the Brussels sprouts and toss until the olive oil and Herbamare or sea salt is evenly distributed. Arrange the Brussels sprouts so that the cut (flat) sides are face down. Bake for 25-30 minutes, or until slightly browned. Top with seeds (optional) and serve. I like to use hemp seeds. 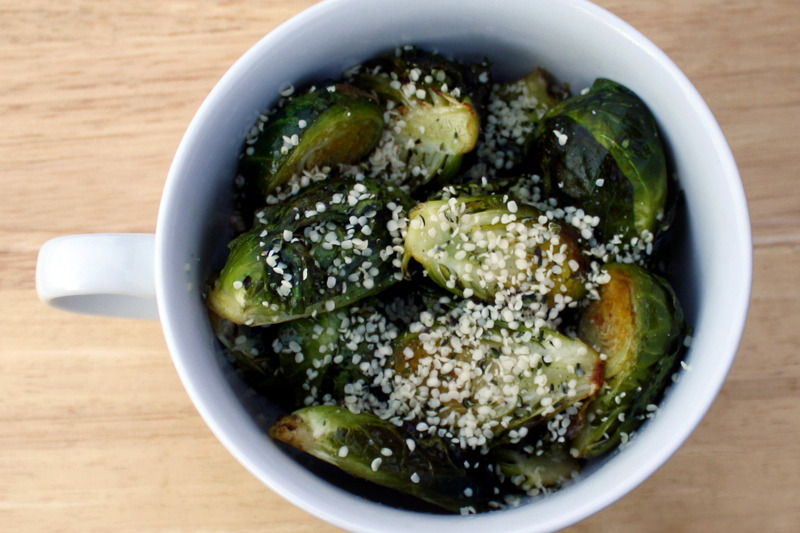 Delicious roasted Brussels sprouts, tossed with extra virgin olive oil and sea salt. Crispy on the outside, tender on the inside! Add the olive oil to a baking sheet with the Herbamare or sea salt. Add the Brussel sprouts and toss until the olive oil and Herbamare or sea salt is evenly distributed.